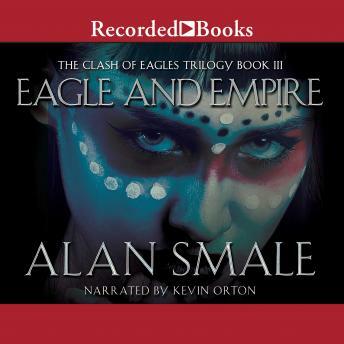 It's The Last of the Mohicans meets HBO's Rome in this inventive conclusion to the Clash of Eagles Trilogy from Sidewise Award-winner Alan Smale. Tasked with subjugating North America for the Roman Imperium in 1218 AD, Praetor Gaius Marcellinus lost his entire legion.but gained a powerful sense of purpose in uniting the peoples of the new world. Ending the seasons-old Mourning War between the five nations of the Iroqua and the plains-based Cahokians, Gaius was able to garner an uneasy truce between these united tribes and a Roman war machine hungry for gold and conquest. But Rome's long-standing conflict with the Mongol Horde has spilled over into North America. As the invaders of the steppes ride over the Rocky Mountains into the central plains, a massive conflict looms on the horizon like a thunderhead. This battle will change this world, and Gaius, forever.